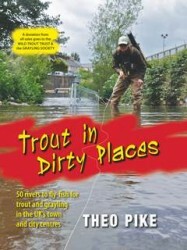 Over several years of researching Trout in Dirty Places and running this blog, we’ve noticed something very strange about modern fly-fishing gear. If you want to stroll the banks of a manicured chalkstream, or cast a fly across a well-appointed salmon river, there’s plenty of old-school tweed and waxed cotton to help you look the part. Alternatively, if you’re planning a week’s survival camp in Norway or Kamchatka, with nothing to keep you alive except bear-spray and space-tech fabrics, the catalogues are crammed with choice. 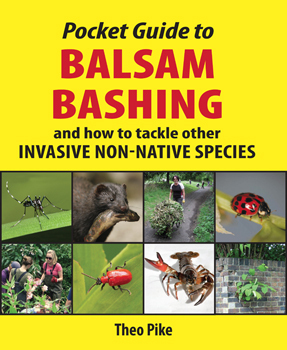 But what if you’re one of our new tribe of urban fly-fishers who just wants to fish where you live, blend into your busy urban surroundings and remain undetected by everyone except (perhaps) other members of your own movement? That’s why Urbantrout fly-fishing gear is here. First launched at the British Fly Fair International in 2013, our range of Urbantrout branded street-style hoodies, t-shirts, beanie hats and baseball caps is designed to take you comfortably from concrete riverbank to city centre bar with stealth and style. And here’s one other important thing. Like the whole of this website, Urbantrout fly gear is inspired by the pioneering spirit and conservation ethos of urban river restoration and fly-fishing. So we’ve made a big decision. 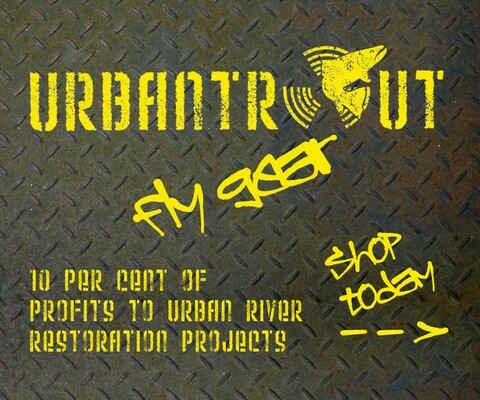 Every year, we’ll donate a full 10% of Urbantrout-branded product sales profits to urban river restoration projects. Our reasoning is that without the hard-to-fund projects that are constantly improving our inner-city fisheries as a precious common resource, few of us would be fishing these urban rivers at all. We’ve also been greatly inspired by the generosity and environmental advocacy of global brands like Orvis and Patagonia, and while we’re vastly smaller (for now) than these industry leaders, we’re just as passionately committed to environmental responsibility. We’ve no idea how much difference we’ll be able to make by donating this deliberately high percentage of our profits, but we want to give it a hell of a good try. 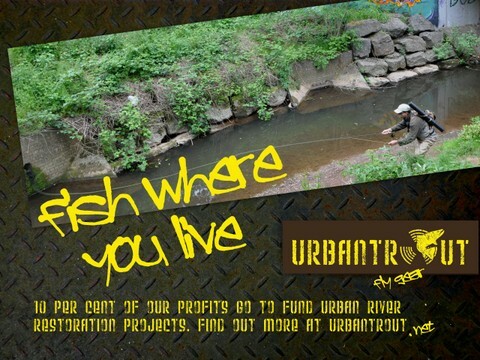 So we hope you’ll choose to use and wear Urbantrout fishing gear. And don’t forget to get in touch if you’d like your local urban river restoration project to be considered for a donation. Fish where you live, rock your urban fly-fishing… and wear Urbantrout fly gear to show your support for the urban river mending movement! Click here to read our press release, and here to buy the full range of Urbantrout gear online.